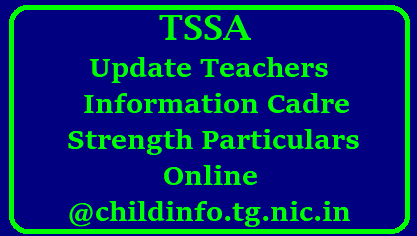 STEP 1 : FIRST LOGIN TO childinfo.tg.nic.in website,a nd then use MANDAL USER for confirming PS&amp;UPS Teachers details and HS(USER) School UDISE Codes for HS Teachers confirmation. step 2: Click on CDSE in the MENU BAR. STEP 3: Now move your curser to the MASTER in the MENU Bar. step 4: Click on Teachers details confirm. step 5: Select your mandal in the drop down. step 6: Enter Acknowledgement Number and Employee Id of concern teacher. Already Particulars updated in 2015 are there.